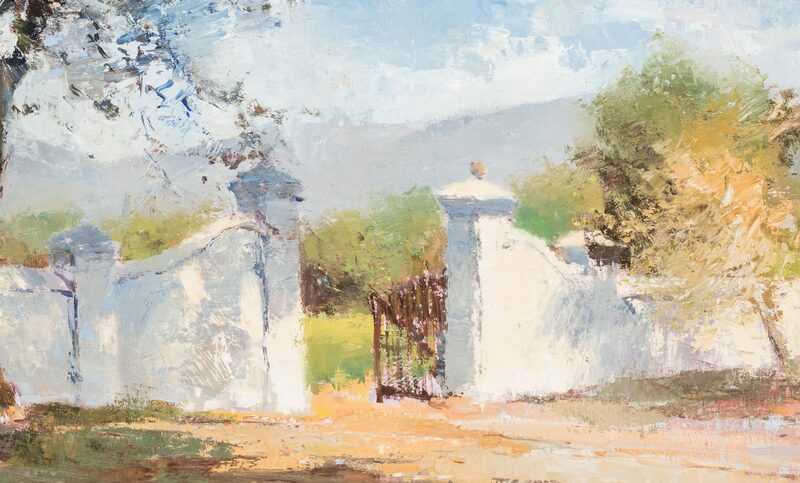 Errol Stephen Boyley (South Africa, 1918-2007) Impressionist style oil on panel landscape panting depicting a solid white fence with open entry gate. Trees in foreground. Signed, lower right corner. 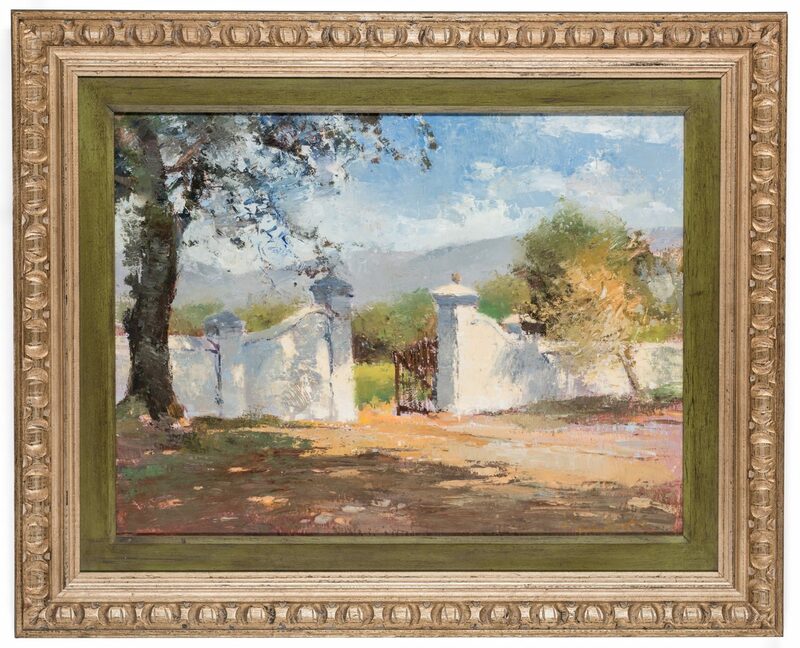 Hand carved frame with green painted rabbet edge. 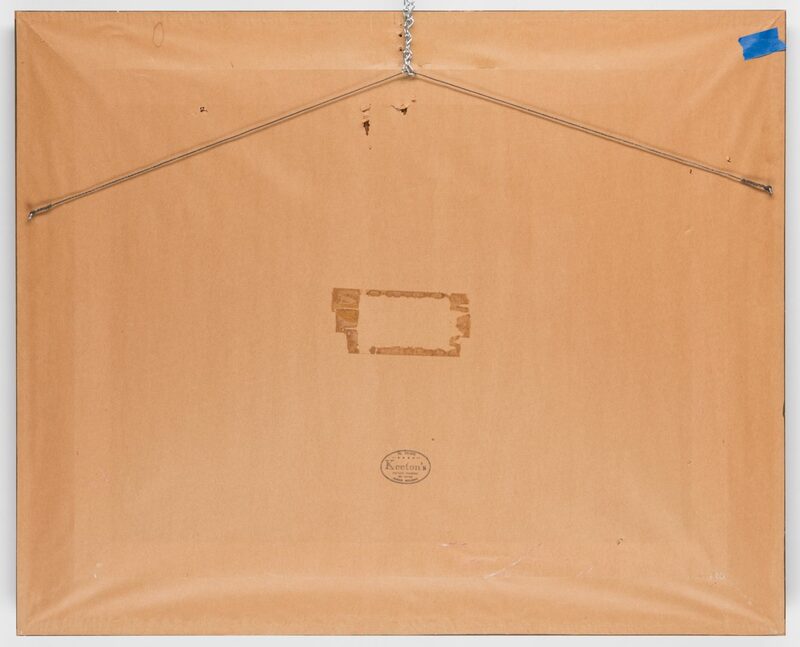 Sight – 17 1/2" H x 23 1/2" W. Framed – 25 1/2" H x 31 1/2" W. Mid/late 20th century. Biography (courtesy Askart: The Artists' Bluebook): Errol Boyley studied with the well-known South African artist, W. G. Wiles, who became his mentor and great influence. 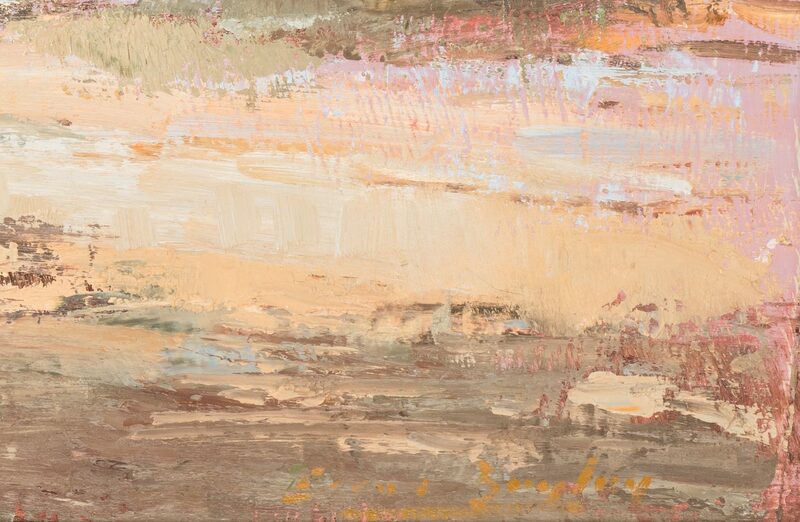 Errol moved to Johannesburg in the early 1950s. This was the beginning of many years of exhibiting with various galleries, one-man exhibitions and group shows. 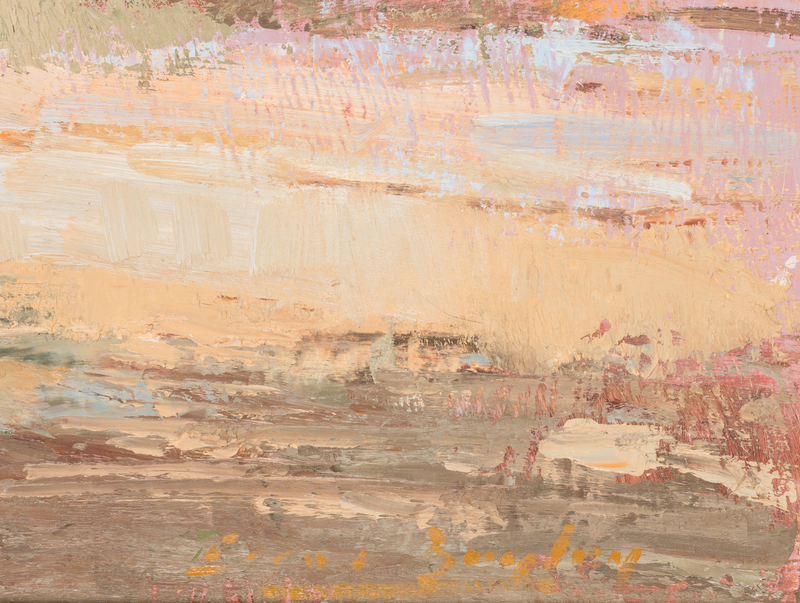 After moving to Ramsgate on the KwaZulu-Natal South Coast, he eventually opened his own gallery in 1978. 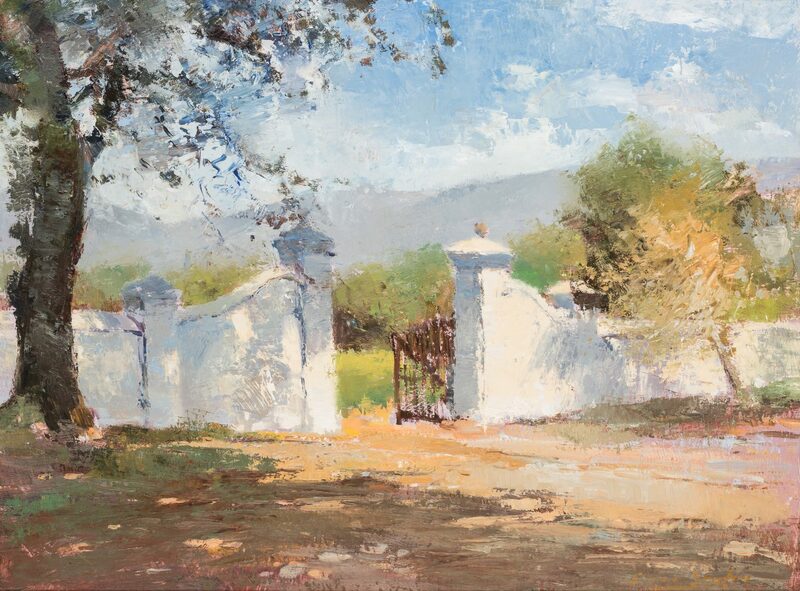 He was known for painting the sea, farmlands, and figures in the Karoo, the Wineldands and the KwaZulu-Natal Midlands. CONDITION: Very good condition.